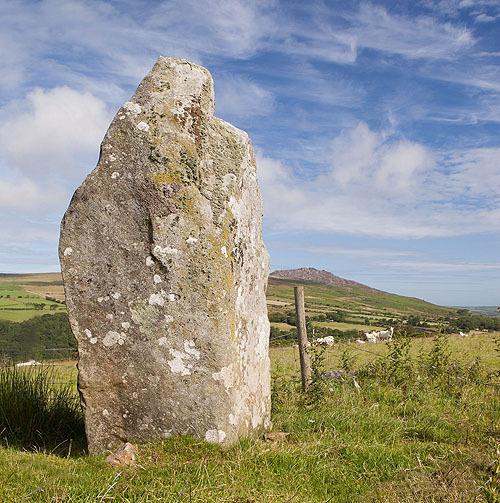 A 2.6m high monolith , near Trefach , with views ( North ) to Carn Ingli , and (West)down the Gwaun Valley. A group of stones nearby thought to be a ruined Cromlech. Location - west of Cilgwyn , a footpath from a minor road gives access.